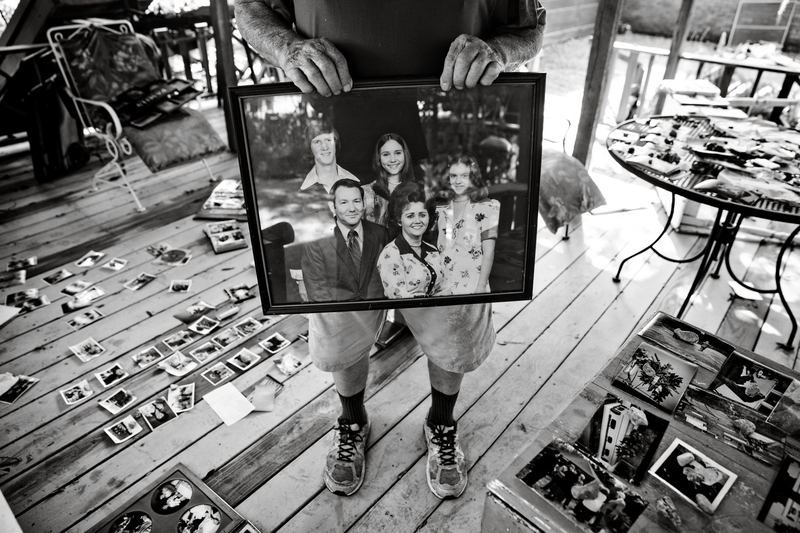 A testament to the resilient and generous spirit of Baton Rouge, Faces of the Flood looks back upon the historic August flood of 2016 and its immediate impact on the Baton Rouge community. 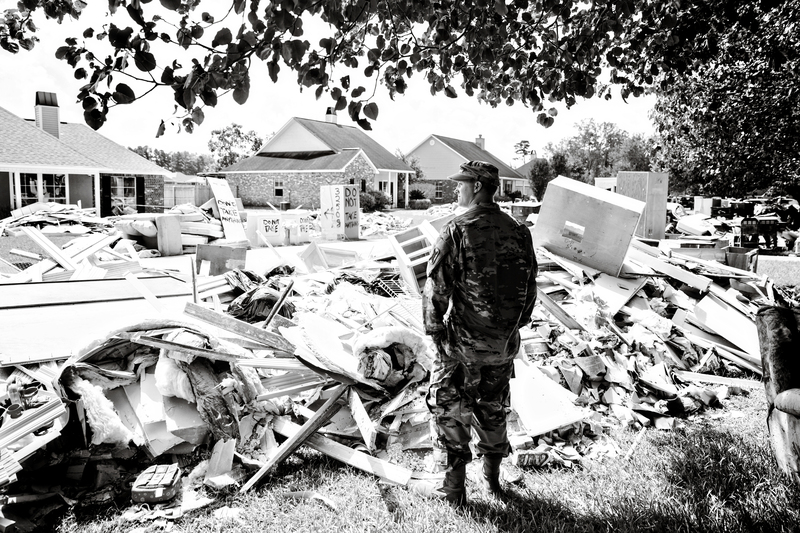 Photographed amidst damaged homes, churches and businesses, area residents share their personal stories of devastation, survival, and hope in words and images as captured by Collin Richie, Frank McMains, David Morris, Dan Jones and Kristin Basilica. A selection of these photographs will be on view along with documentation and videos, providing a compelling account of tragedy and community revival. Faces of the Flood began as a photo assignment for inRegister. Sensing the potential of the project, Collin Richie brought in a few other photographers. When posted on their Facebook community page Humans of the Water, their captivating images garnered national attention. A selection of 50 of these portraits and related video footage will be shown alongside brief narrative accounts and comments relaying the personal experiences of those pictured. In some cases, recently taken images will document the scene one year later. At the conclusion of the exhibition, the framed photographs will be gifted by the museum and the photographers to the individuals pictured. Setting the stage for this display will be television station weather forecasts, newspaper headlines dating from the historic event, and a map showing the extent of this unprecedented flooding. To encourage community dialogue, images taken by the public during and following the flood will be collected and displayed on a monitor in the gallery. There will additionally be an area within the exhibition dedicated for the public to post thank-you notes honoring those who came to them during their time of need. A related exhibition, Saving Stories: A Playful Take on Recording Personal History, will also be on view to give visitors an opportunity to reflect on, preserve, and share their own life stories. Do you have a photo of the August flood of 2016 that you would like to share? We welcome you to have a voice in the story by submitting an image taken during the flood or recovery. If chosen, your image will be part of a rotating, digital display within the exhibition, and may also be used on our social media platforms. 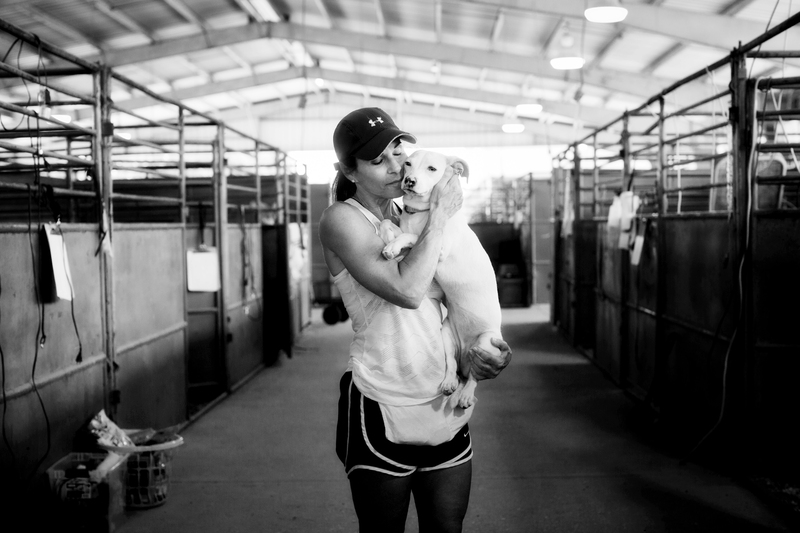 Images that portray a spirit of community, hope, and recovery are particularly encouraged. To submit your photo, please e-mail photos@lasm.org and include your first and last name, where and when the photo was taken, and what makes the image meaningful to you (in one to two sentences). This program is presented by BASF, 225 Magazine, and InRegister. It is also made possible in part by a Local Project Assistance Grant from the Arts Council of Greater Baton Rouge, funded by the East Baton Rouge Parish Mayor-President and Metro Council. 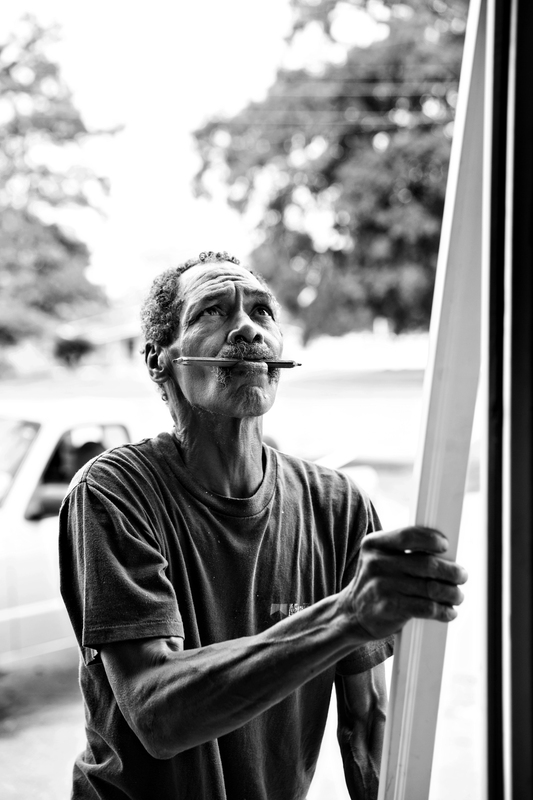 Collin Richie, "Hilton" from Faces of the Flood series, August 2016. Photograph. Image courtesy of the artist. Frank McMains, "Coureyon" from Faces of the Flood series, August 2016. Photograph. Image courtesy of the artist. Kristin Basilica, "Mia" from Faces of the Flood series, August 2016. Photograph. Image courtesy of the artist. 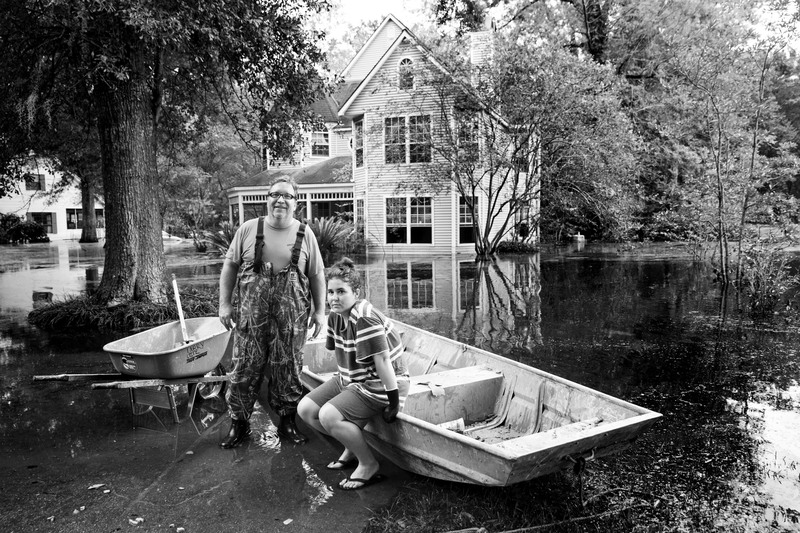 Collin Richie, "Caroline and Mark" from Faces of the Flood series, August 2016. Photograph. Image courtesy of the artist. 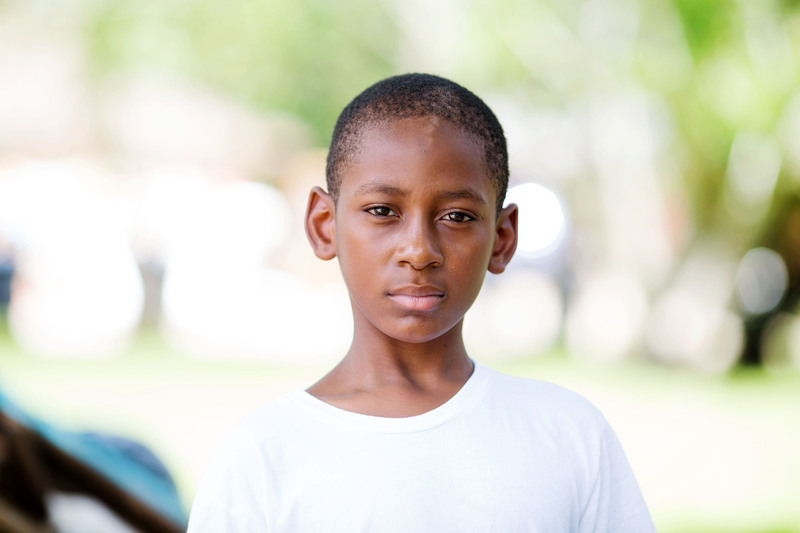 Collin Richie, "Chris" from Faces of the Flood series, August 2016. Photograph. Image courtesy of the artist. Collin Richie, "Gil" from Faces of the Flood series, August 2016. Photograph. Image courtesy of the artist.